For passive distributed antenna system (DAS) installers, it’s no secret that signal loss from long cable runs can impede an otherwise perfect project. For those of you who don’t know, the concept is simple: cellular signal loses strength when it travels through cable. An additional 50 or 100 feet of cable run could mean the difference between being restricted to placing two indoor antennas or covering more ground with five. Unfortunately, the complexity of some projects means you just can’t avoid a cable run of 300-plus feet. Previously, that meant adding more antennas and boosters to the system, or simply settling for signal strength that was improved but still not as strong as it could be. 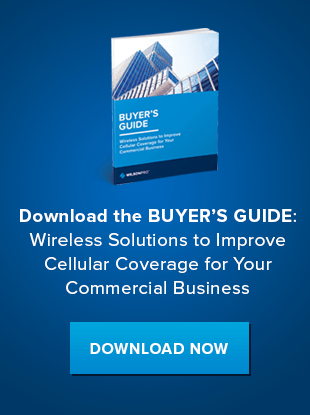 However, a newly developed solution — the industry’s first Federal Communications Commission (FCC) and wireless carrier-approved “inline” cellular booster system — compensates for the cellular signal that is lost over long lengths of cable, ensuring that businesses have strong cell service throughout their entire building at all times. The introduction of the industry’s first inline amplifier stands to change the way passive DAS dealers and installers work on projects. The product, the WilsonPro 1050, helps solve the signal loss issue by using a dual-amplifier system, which consists of a main amplifier and a supplementary inline amplifier. Together, the two amplifiers determine the actual signal that is lost along the cable run and boost the signal accordingly to compensate for up to 300 feet of cable. The enhanced signal results in cell service that is up to 32 times stronger. Steven Klingensmith, signal booster solutions manager at RCS Wireless Technology, a WilsonPro dealer, deployed the Pro 1050 in a multistory New York building during a beta test earlier this year. With previous products, the RCS team would have lost significant signal between the rooftop donor antenna and the indoor antennas. However, with the Pro 1050, Klingensmith found he could extend cables further into the building while maintaining the strong signal generated by the rooftop antenna. Dealers and installers can now design projects based on building needs, rather than potential signal. The Pro 1050 could also open up new projects that dealers may have previously shied away from, such as those of 100,000-plus square feet. The dual-amplifier system can be deployed in any number of commercial settings, including hotels, hospitals, retail spaces, large residential buildings, and event venues. The Pro 1050 will have particular value in large multi-story buildings and warehouses, where design often restricts where donor antennas can be placed. 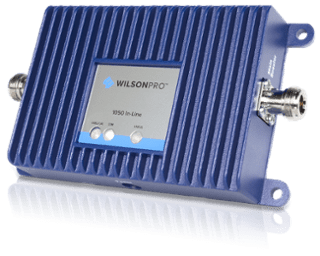 The Pro 1050 also features Wilson’s XDR technology, which adjusts the amplifier’s gain up or down to manage strong outside signal and virtually eliminates the chance of the system shutting down and cellular signal dropping out. Contact us to learn more about the WilsonPro 1050. The amplifiers can be configured to meet the needs of any commercial building, regardless of the size or the building’s unique requirements.